Argyle should be up there with the best. 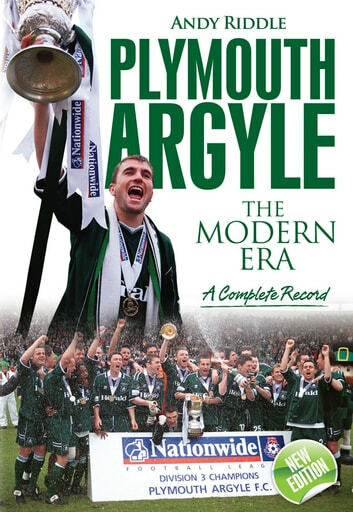 Plymouth is now the largest city in England with a League club never to have graced the top division. On several occasions over the decades they nearly achieved the ultimate promotion, only to slide back and take their place with the also-rans. 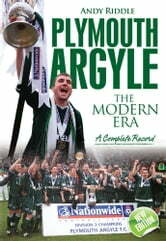 The Modern Era according to Andy Riddle begins with Season 1974-75, when Argyle bounced up from the Third Division. Since then, the club has been blessed with great players. Who better than Paul Mariner, who went on to be capped by England, or Tommy Tynan, who scored so many memorable goals in the 1980s? Todays fans will, no doubt, in later years reminisce about more recent stars, such as David Friio and Paul Wotton. The word potential has inexorably been linked to Argyle for many years. The team had established itself in Championship football before suffering recent setbacks. Perhaps finally, that potential will be fulfilled.